Visit us at 106 South Center Street in Newberg. 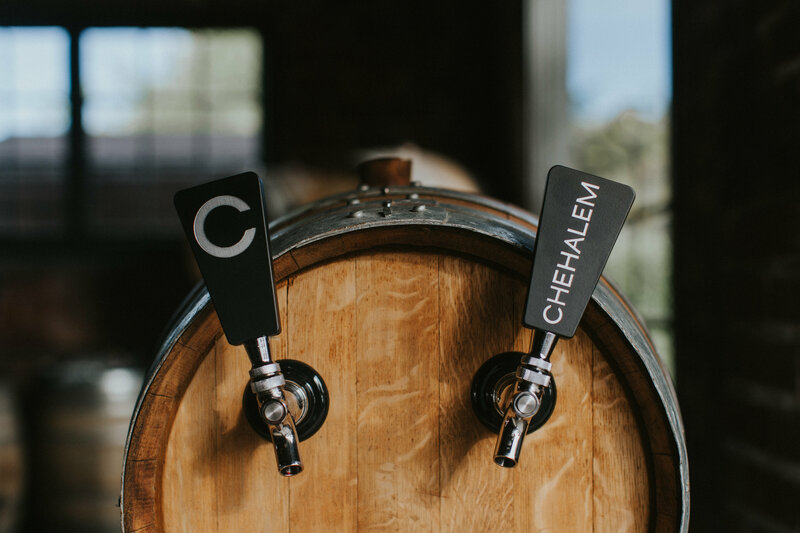 For a list of Tasting Room experiences, and to learn more about The Wine Bar at Chehalem, see below. The Winery, located on Veritas Lane in Newberg, is open by appointment only. View our Winery Experiences page to make reservations for your visit to the Winery. For a list of wine tasting, music and culinary events, visit our Events Calendar, or our Facebook page. For groups of eight or more, we offer a tableside flight of six wines hosted by one of our knowledgeable Chehalem wine associates. For reservations, call (503) 538-4700. *Please allow 24-hour advanced notice. Join us in our Wine Bar after hours every Friday & Saturday from 5pm – 8pm. Enjoy wines by the glass, special flights and cheese & charcuterie boards in a friendly and relaxed gathering space. Our Wine Bar is also available for private events. Chehalem offers so many great varietal options. Several Pinot Noir, of course, and Pinot Gris too, but also Chardonnay, Gamay Noir, Riesling (dry and off dry), Pinot Blanc and Gruner Veltliner. They are friendly, flexible and clearly want you to enjoy the wine and your time spent with them. Wonderful, fun tasting room. So friendly. So yummy! The host was amazing and patient and helpful and knowledgeable. More whites than most, if you want to escape the Pinot Noirs, but the PNs are so varied and excellent, too!